At its event in New York today, Spotify announced it’s creating a new track format aimed at exercising users. 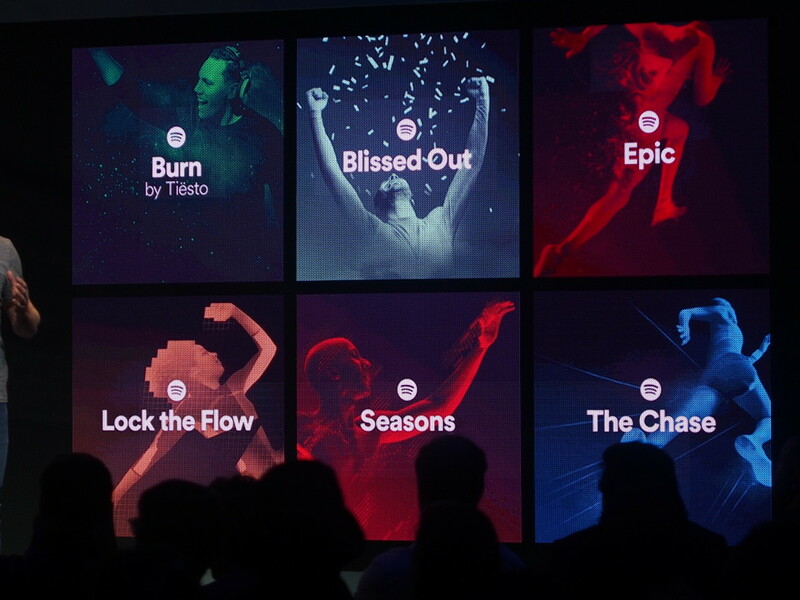 The new format is part of the Spotify Running platform announced earlier today. While the app can now automatically choose music to match your tempo, the new format uses tracks specifically created to have variable playback speeds. Basically, the music is able to change its tempo depending on how quickly the user is running. It uses your phone’s sensors to detect your running pace, and changes the beats per minute to match you steps. The company is working with several musicians, including Tiesto, to create original music for the format; it’s made six tracks so far.. It’s also partnering with Nike to integrate the new music format directly into the Nike+ app this summer, while RunKeeper will adopt the format later in the year.